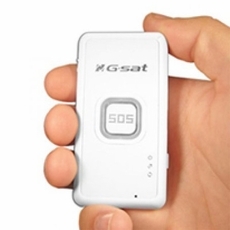 This rugged GPS Cellular Tracker is a quad-band global device (850/1800/1900 MHz). It is designed as a tracking/monitoring device for personal or vehicle applications using GPS and GSM technology. Users can retrieve the location of this device without the need for interaction from the person or vehicle carrying the device. The GPS coordinates can then be viewed on free web-sites such as GoogleMaps or be directed to a third-party subscription based web-site that offers rich feature sets to further enhance the retrieved location data. Other standard features include: low battery, GPS fix and GSM LED status indicators. Optional mounting brackets for a variety of applications are also available.